Henry Threadgill is one of those rare musicians who never puts out anything less than strong recordings. As such, his new releases are worth purchasing unheard, an act that is becoming rare. 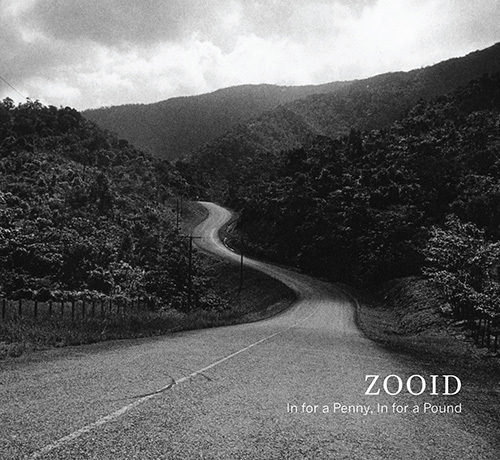 In For a Penny, In For a Pound is a double CD release (though at slightly less than 80 minutes, it might have been able to fit on a single CD) featuring Threadgill’s characteristically active and complex compositions. With Elliott Kavee on drums and percussion, Christopher Hoffman on cello, Jose Davila on trombone and tuba, and Liberty Ellman on guitar, the album includes of four long suites ostensibly one for each of these instruments, as well as two shorter introductory pieces, one per CD. Nonetheless, each suite is not in any way limited to the proclaimed instrument. For instance, Ellman’s guitar is prominent on Ceroepic (For Drums and Percussion), though a drum solo is featured more than halfway through the piece. For the most part, the titular instrument is not the most salient feature of each piece. Instead, each suite showcases Threadgill’s compositional approach – somewhere between creative jazz and chamber music. Often, two or more themes are apparent, including contrapunctal lines, as well as foreground and background melodies. The intricacies do not sound forced; instead, they are a natural result of Threadgill’s vision. But perhaps the most pleasing tracks on In For a Penny, In For a Pound are the introductory pieces, as they consist of knotty, concise statements. Threadgill composes with great intellect, while he and his group perform with distinct mastery. In For a Penny, In For a Pound is a pleasure, and it will take many listenings to fully explore all of the nooks and crannies.